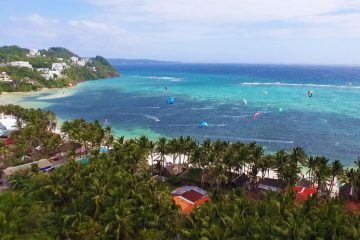 Between its clear blue waters, pristine white sand beaches, and vibrant nightlife, Boracay is an island in the Philippines that shouldn’t be missed! 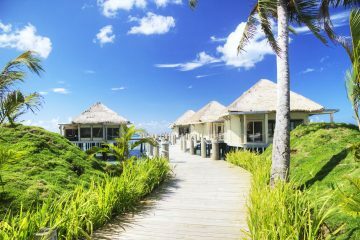 I was actually fortunate enough to have personally lived on the island for three years- trust me, it’s paradise! 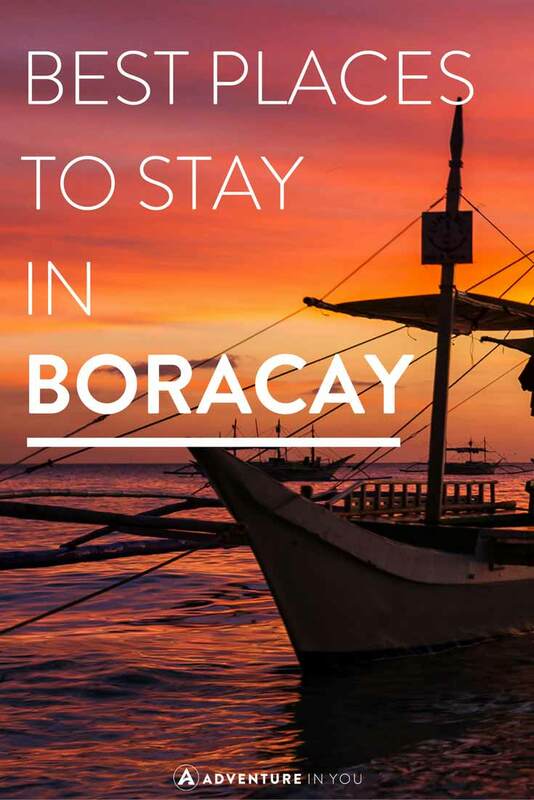 So without further ado, here are a few of my personal recommendations on the best places to stay in Boracay for both hotels and hostels. If you’re looking for something unusual, we highly recommend booking a few days at the Happy Buddha River Retreat by the mainland. After years of living on Boracay beach, this place has become my go-to place when I need an escape. If you love nature and tranquility, a trip to Happy Buddha River Retreat is highly recommended. 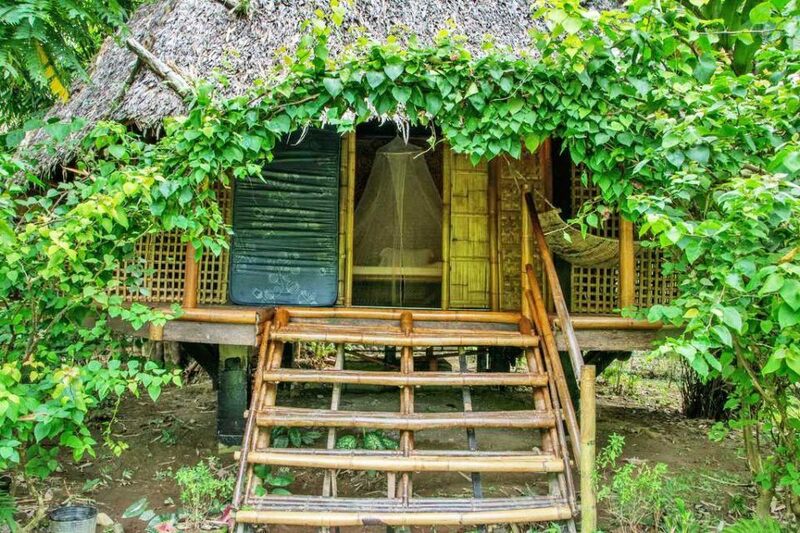 Away from the hustle and bustle of the tourist-filled beach, relax by the riverside in simple bamboo made villas, equipped with terraces and riverside views. 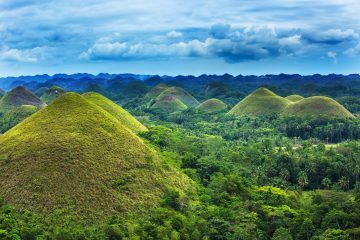 Planning on Traveling Around the Philippines? Check out our guides on The Best Places to Stay and our top picks from each place. 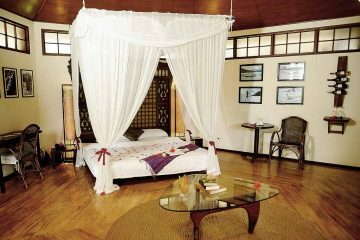 wow so many gorgeous hotels to stay in Boracay. My choice would be Discovery Shores and Coast, both expensive but I’m quite sure I’ll have the most amazing time. The Philippines have been high on my list for quite some time! I really appreciate you giving a wide range of lodging options, not just the fancy, ritzy resorts, as we are true frugal travelers when not travel hacking! Great list of hotels and hostels. 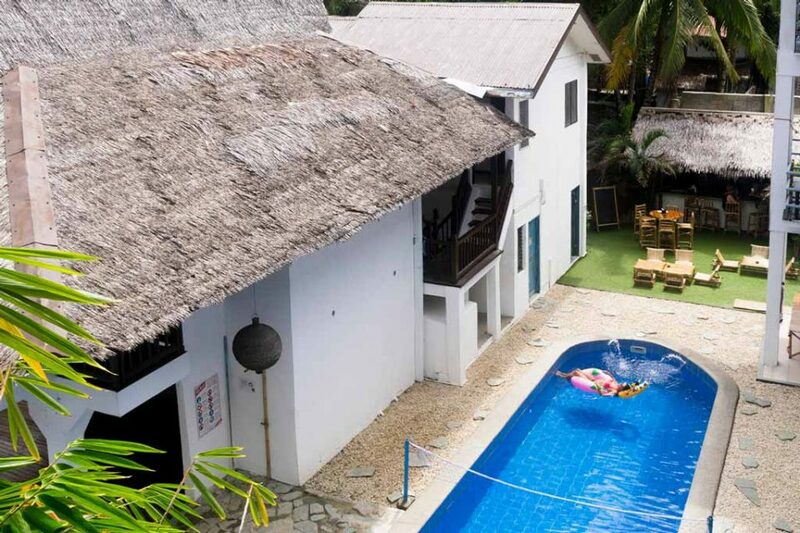 I would love to stay at the Frendz Resort Boracay. It is in my budget and I love the all the colors. A fantastic selection, thank you for providing options for every budget. Almost all of them are filled with colour, especially the dorms. So fitting for a beach destination! I think my choice would be Hey Jude – just because then I would have an excuse to keep singing the Beatles song! Lovely to see a range of options, and really helpful when planning/budgeting for a place! Thank you guys!